Google's worst kept secret in recent years is finally official -- Google Drive, the company's cloud storage service, has been announced. The service offers 5GB of storage for free, with paid storage also available offering up to 16TB of space. Being a Google service, much of the focus of Google Drive is on its web interface, available now at drive.google.com. Like cloud storage incumbents Dropbox, this provides users with a way to manage existing synced content (including Google Docs), as well as uploading new files and sharing between other Drive users. There's also a fully-featured Android app, which replaces the old Google Docs app and offers the ability to upload content from Android phones directly to the cloud. And there's even a Google+ style camera upload feature to facilitate easy sharing of photos and videos. The app's available right now on the Google Play Store (and as an update if you've already got Docs installed), and we've got it linked after the break. 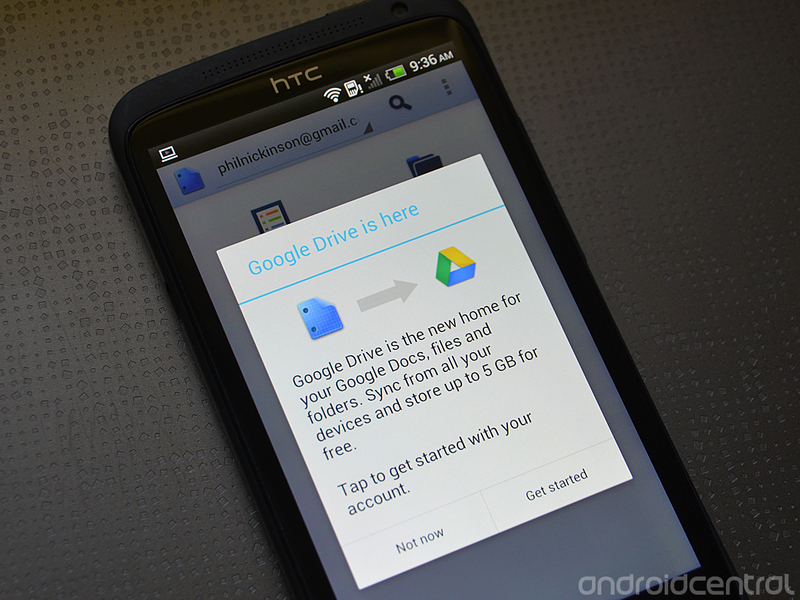 On the desktop side, Google Drive takes the form of a synchronization app, similar to Dropbox. Your Google Drive appears as a special folder on your computer, from which you can manage through your favorite file manager. Like Dropbox, the Drive desktop app integrates pretty seamlessly into Windows. In the announcement on its official blog, Google focused on Drive's collaborative capabilities -- something Docs users will be familiar with -- as well as the ability to search more than just text in a document or spreadsheet. Drive apparently incorporates OCR (optical character recognition) in addition to image recognition, similar to Google Goggles and Google Image Search, meaning a photo of a particular landmark would be recognized as such. Enterprise-focused data allowances are also available, offering up to 16TB of space. Upgrading to a paid plan will automatically boost you up to 25GB of Gmail storage, too. Check the source link to get started with Google Drive. We'll have a full hands-on feature up later today, so keep watching! Head past the break for Google's official introductory video.